Pantone® have picked a warm and energising orange ‘Living Coral’ as their colour of the year for 2019! For me, it was always going to be one of the warmer tones of either a bright yellow or vibrant red. This seems like the perfect compromise mix of the two, called Living Coral (also known as Pantone® 16-1546). 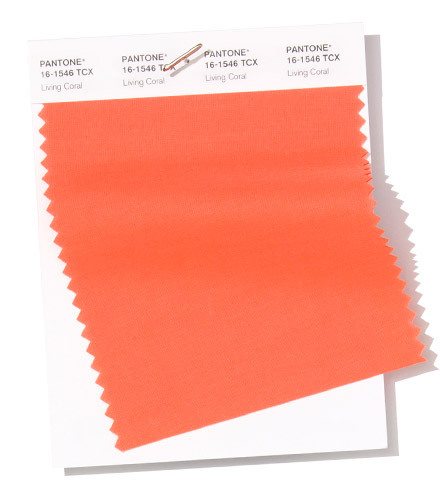 As Pantone® Vice President Laurie Pressman said, it is an “an animating and life-affirming coral hue with a golden undertone that energizes and enlivens with a softer edge. Sociable and spirited, the engaging nature of Living Coral…embodies our desire for playful expression”. Pantone® is the world-renowned authority on colour and the Pantone® Color of the Year is always really influential in any popular colour themes in fashion, interior design and weddings. They have been picking a colour of the year for 20 years now, taking into account cultural trends, as well as “how colors can embody our collective experience and reflect what is taking place in our global culture at a moment in time,” according to the press release from Pantone®. It seems quite fitting that this should be the colour next year especially when there’s such a focus on our oceans, climate change and protecting our natural resources. Living Coral seems the perfect ambassador to remind us of these important factors and to consider how to make weddings more eco friendly. Living Coral instantly conjurors up images of life under the clear blue sea and makes me reminisce about happy days learning to scuba dive at the Great Barrier Reef in Australia. It is an absolute underwater paradise, literally awash with colour energised by the sunshine. I still dream about a phenomenal night dive when I felt like I was flying over mountains and as I shone a torch over the coral it all came to life when the light touched it. It was breath taking. I learnt how important coral is in the marine life for providing habitats and shelter, protecting coast lines, and also filtering the water. It needs to be protected. The 2019 colour of the year certainly would be fitting for a beach wedding although would also pair seamlessly with a sophisticated navy, grey or burgundy to make it a relevant colour to fit a wedding at any time of year. And of course coral is associated with a couple’s 35th wedding anniversary so it’s no stranger to being a part of weddings. I’ve been desperate for a yellow or an orange colour to get top billing for a couple of years and my guess for the Color of the Year 2019 was for Aspen Gold or Mango Mojito (see my Spring 2019 report). 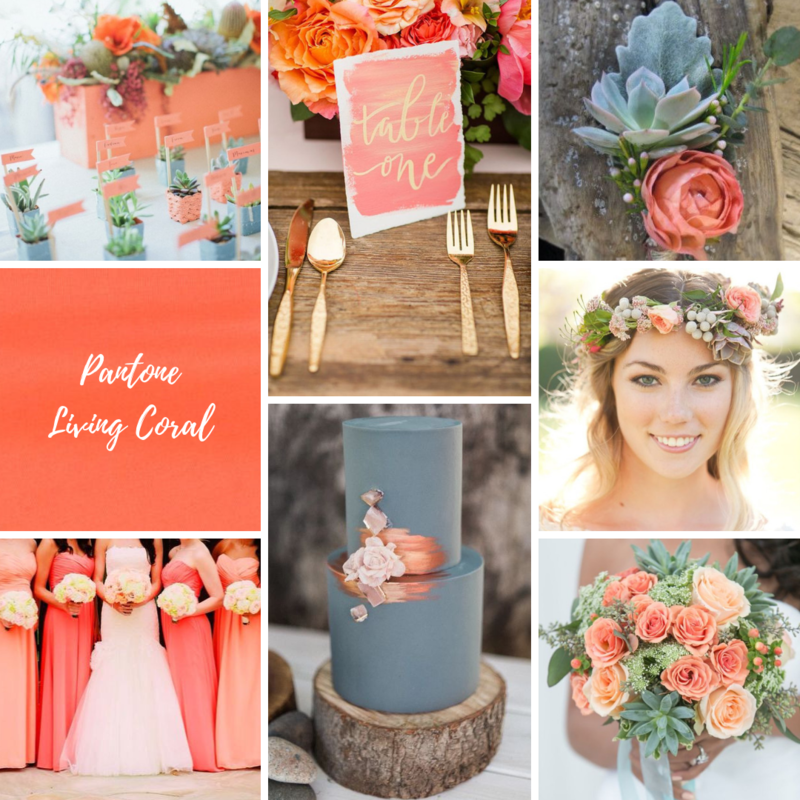 I’m pleased to see a vibrant, playful colour leading the way again in 2019 and can’t wait to see couples incorporating Living Coral into their wedding colour schemes. 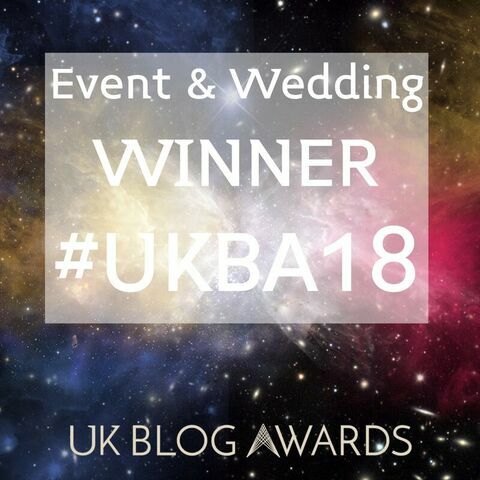 See more about my Living Coral mood board from the UK Academy of Wedding and Event Planning’s SS19 Pantone® mood board competition from earlier this year.